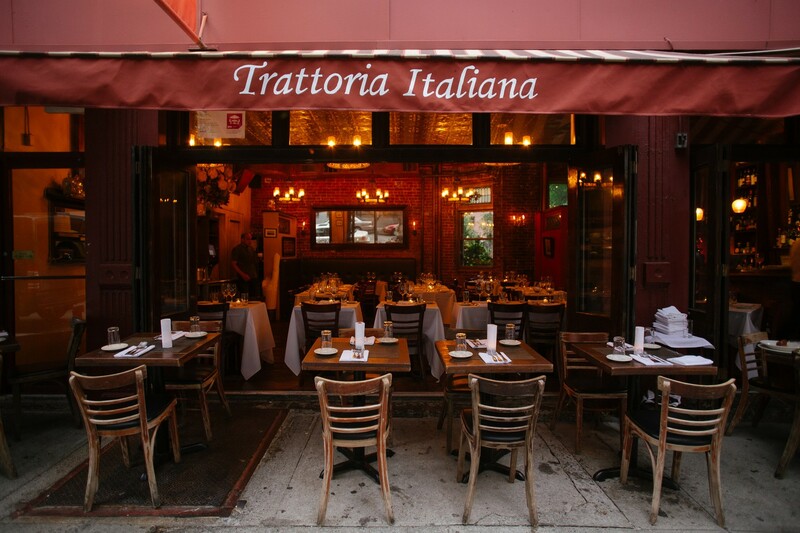 The East Village has its share of Italian restaurants for you to choose from, and good ones at that. We've spent plenty of time at Lil' Frankies, Max, and all the rest, but Lavagna was the one that we'd been neglecting for some reason over the last several years. Maybe it's because Lavagna (Italian for "lasagna", we assume) has a bit of an older clientele than the others. Our friends never really talk about this place like they do Frank or Supper, and we only do things that all of our cool friends are doing. I tried a cigarette yesterday. Even though it might not be the coolest of the East Village Italian restaurants, Lavagna is right up there with the best. The place has been in business since 1999, and it's still busy every night. Chalk it up to an excellent and consistent menu of pastas and entrees that keep the regulars coming back, exceptional daily specials, and a really good wine list. It's everything that you want a cozy Italian restaurant to be, and it's not even all that expensive. The service can be a bit...abrupt at times, but for some reason we kind of like that here. They are so busy making good food for people that they have no time for your bullsh*t indecisiveness. So don't take it personally when your server is less than amused with your witty banter at the table. And whatever you do, definitely don't try dropping that lasagna joke. You'll get thrown out on the street. We love these scallops that come sitting atop a parsnip puree with bits of pancetta. It's a solid order to start off your meal. Quite possibly our favorite appetizer of the bunch, this wood oven roasted artichoke is damn near perfect. This is a big plate of thinly sliced octopus, simply dressed with olive oil and lemon juice. Get one for the table. Our favorite pasta from the menu, this rigatoni has sweet fennel and spicy sausage in a red cream sauce. So...it's healthy? It's a must order regardless. A delicious fresh pea pasta in a parmesan cream with some mint. Ha. Fresh pea. There will always be a pasta on the specials menu at Lavagna, and they seem to be different every time based on what's in season. Both times we've ordered the pasta special, we've been blown away. On my last visit a few weeks ago, I had something with fettuccine, fresh ricotta, and grilled corn. It was incredible.